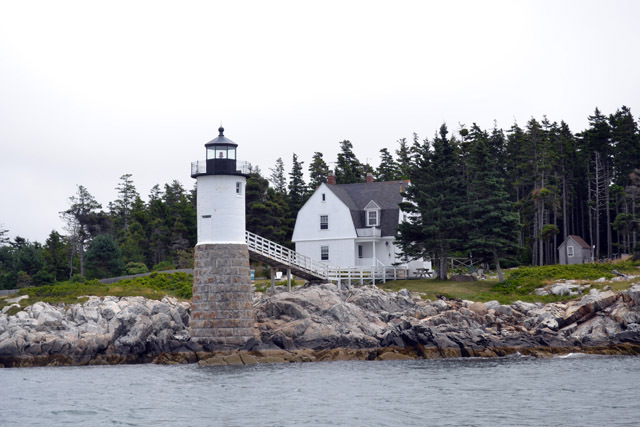 When Price and I were on our annual trip up to Maine this summer, we went on the Seal Island Puffin Cruise through The Isle au Haut Ferry for Price’s mom’s birthday. Back in February we told her about the gift and we were able to enjoy it during our August trip. 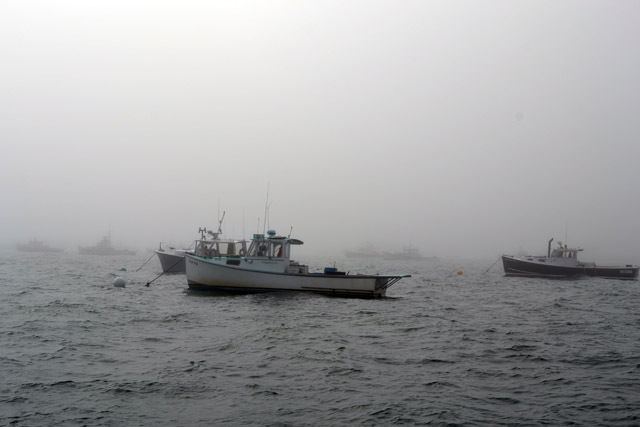 The weather was a bit crummy that morning and we hoped that it would clear & burn off as that day went on, sadly it did not. 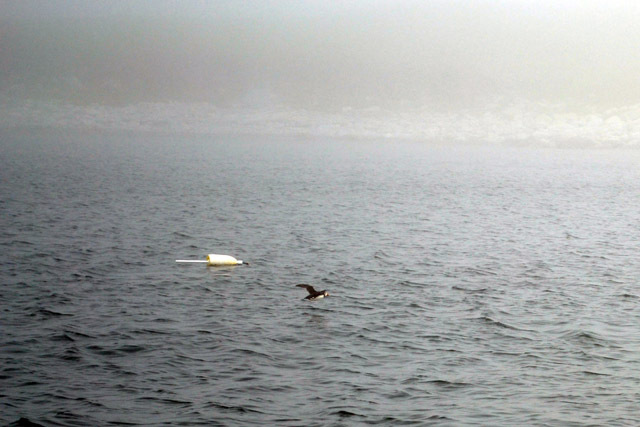 But we still really enjoyed ourselves on the boat ride and watching the puffins bob around in the water and fly around. 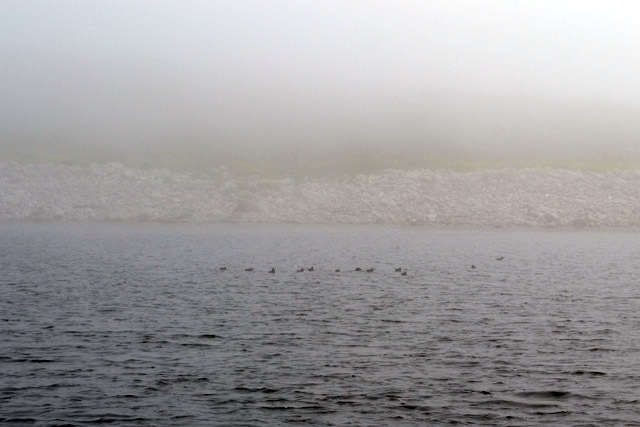 It was amazing to see the puffins in their natural habitat. Plus they are cute as hell! 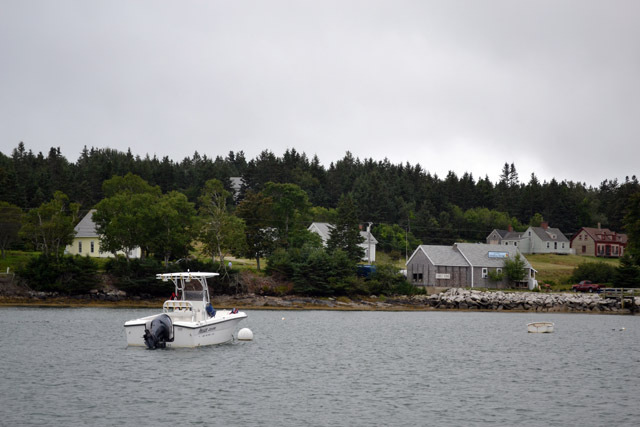 We left Stonington on the 47 foot long Mink and headed to Isle au Haut to pick up a few more people and naturalist Kathie Fiveash. 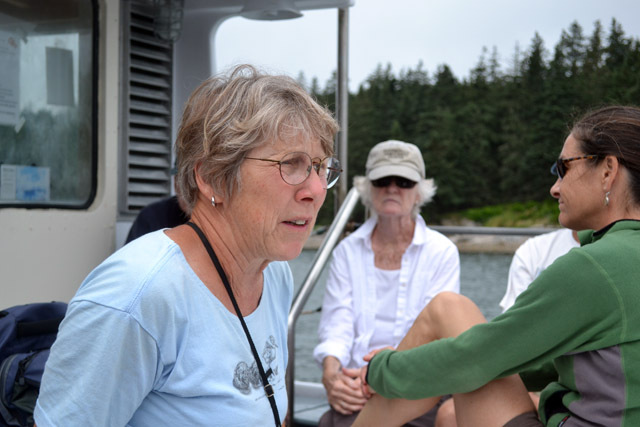 Kathie spoke about the preservation efforts for the islands in the area and about the avian and ocean wildlife that we saw along the way. 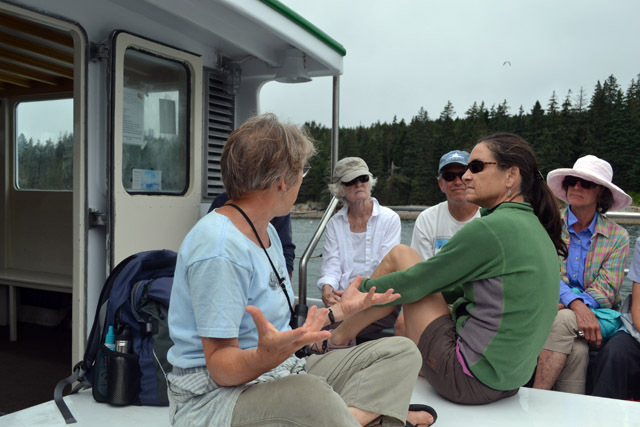 She was able to point out an eagles nest on Isle au Haut, identify the different terns that we saw flying all around, and point out a seal we saw in the harbor. She brought several books as well people to browse thorugh for additional information. 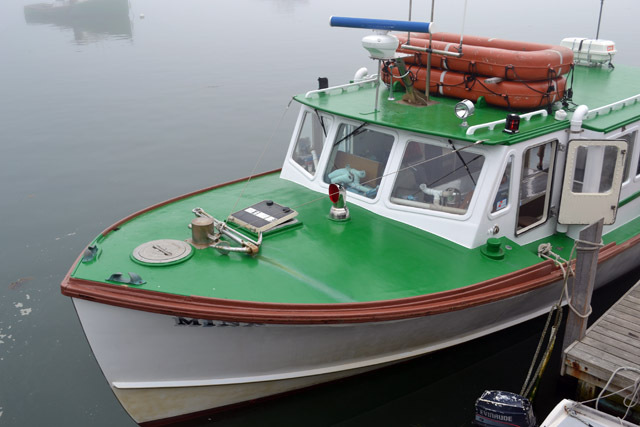 In addition to her work with the puffin cruise, she can be hired to be a tour on Isle au Haut to walk around that lush island. 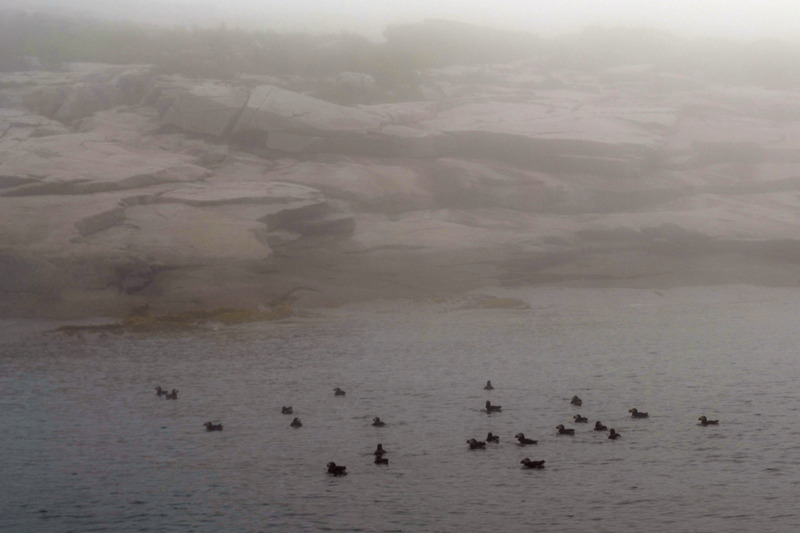 We then headed about 12 miles south to Seal Island to see a summer colony of nesting puffins there. 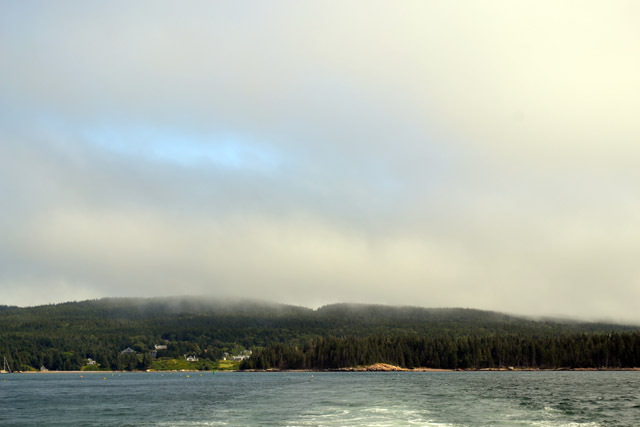 It took us about an hour & half to get from Isle au Haut to Seal Island. Once there we got along side the the East face of the island & carefully looped around the puffins that were bobbing along in the water. 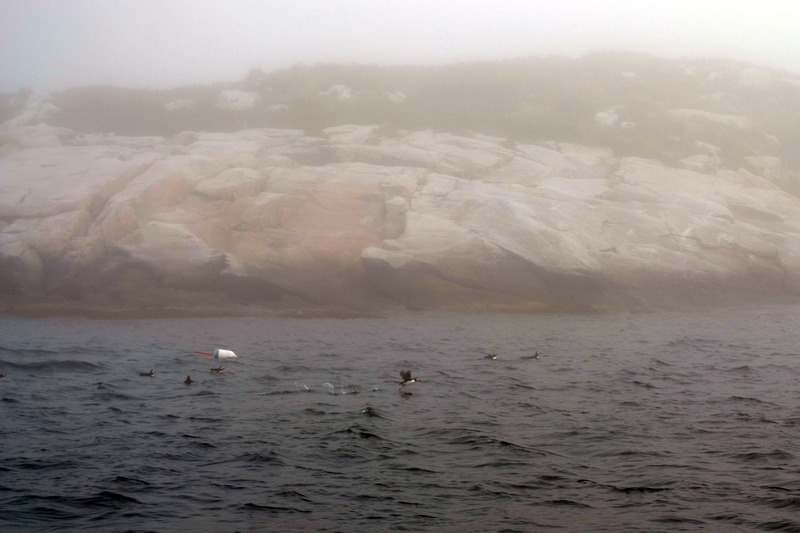 Nobody is permitted to land on Seal Island, so we were thankful that so many where in the water for us to see so well. 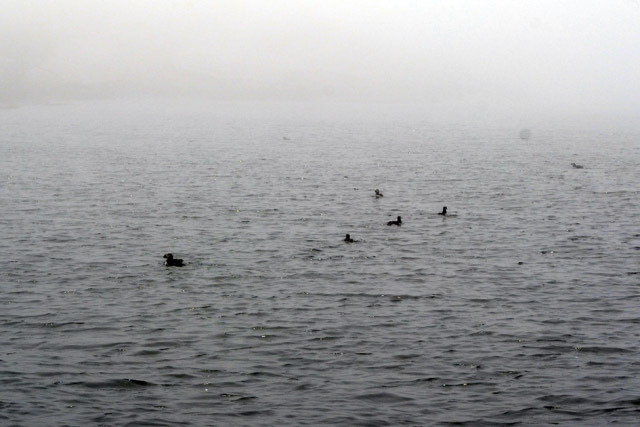 We stuck around Seal Island for awhile watching the puffins float around in the water and fly around. I was very excited about the puffins flying around. I do have to admit that I didn’t know puffins could fly very well. I thought they were like penguins since every photo I saw of them showed them standing around with fish stuffed in their mouth. Plus they are shaped like squat little footballs so I didn’t think of them as being very aerodynamic. So every time one took off I would snap a dozen pictures. We had such a great time on the Seal Island Puffin Cruise. I highly recommend checking out their 2013 schedule to plan for a visit as they only go out a few times a summer. I hope that you guys have better weather than us too! When I retire ( sonner rather than later I hope) these are some of the things I would love to do. So thanks for for sharing this information and I will add it to my bucket list.